STAYING IN THE ASHEVILLE AREA? LOOKING FOR AFFORDABLE GROUP ADVENTURES? RAFTING TRIPS Continue your Great Smoky Mountains National Park adventure with a white water rafting trip on the beautiful Pigeon River. We raft both the Upper and Lower sections of the river. Bring your crew of adventure hounds and experience the thrill of big drops and splashy waves on the Upper Pigeon’s class 3 and 4 rapids. Or, if you’ve got littler kids or folks looking for a peaceful and fun float, come join us for the perfect introduction to river rafting on the gentle Lower Pigeon. 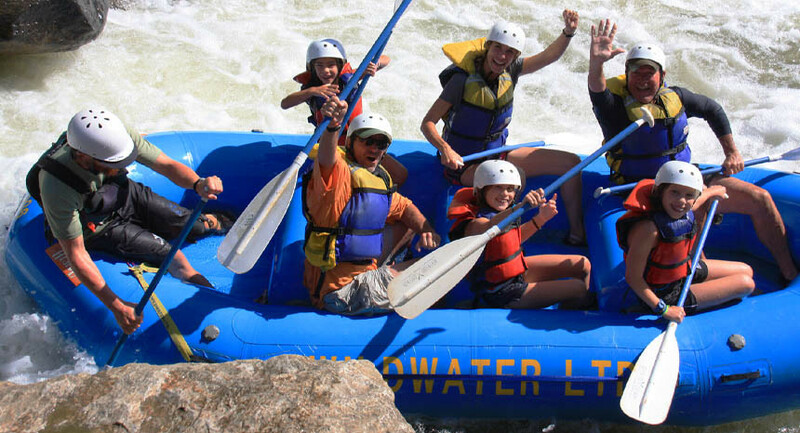 French Broad River (Class II-III) - $54.00 per person includes lunch ~ The closest whitewater rafting to Asheville! Outpost is only a 25-minute drive from Asheville, NC. Add a ZIPLINE CANOPY TOUR! Easy & Affordable Adventure Options! ASHEVILLE'S FUN DEPOT Asheville’s Fun Depot is a 65,000 square foot family entertainment center in Western North Carolina with attractions and activities for all age groups including toddlers and seniors. Here is a list of some of the attractions and activities that Asheville’s Fun Depot has to offer: Go Carts. Arcade. Climbing Wall. Batting Cages. Laser Tag. Zip Line. Putt Putt Golf.